Roads in Yellowstone National Park are slated to close 8 a.m. Monday, November 2 as the Park transitions to the winter season. One family got a huge surprise when a Yellowstone grizzly bear came to visit their car. In honor of President’s Day, Yellowstone admission will be free on February 14-16. Something to note if you plan on traveling to Yellowstone National Park the next few days: the Beartooth Highway, connecting Red Lodge and Cooke City and eventually the Park’s Northeast Entrance, is temporarily closed because of winter-like conditions. 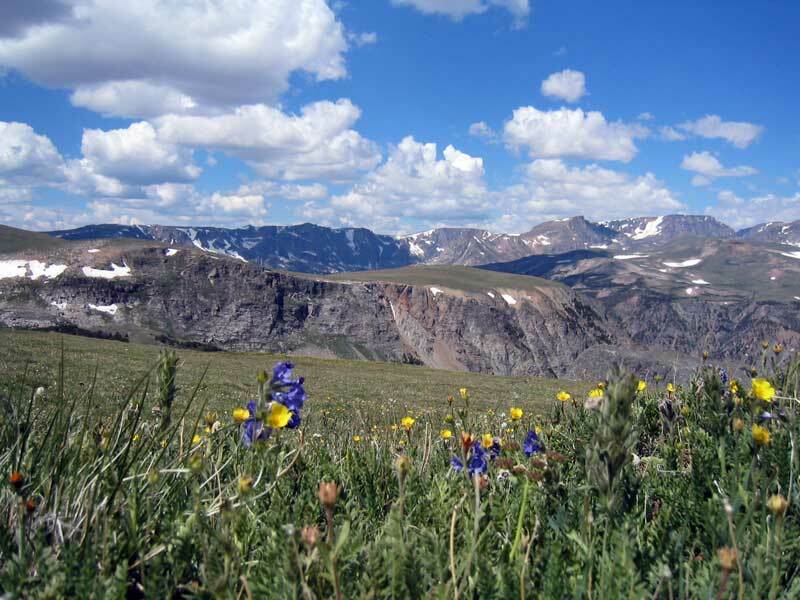 The Beartooth Highway, Yellowstone’s prettiest gateway road, is now on the National Register of Historic Places. A fairly uneventful summer ended with lots of drama and snow, as most gates to Yellowstone National Park were closed for the 2013 summer season today at 8 a.m. The combination of the government shutdown and a fall snowstorm closing the Chief Joseph Highway stranded Yellowstone tourists in Cooke City, with no immediate way out of the national park. Dunraven Pass, Beartooth Highway Opening Friday UPDATED! The scheduled Dunraven Pass and Beartooth Highway openings hit snags this morning, with bad weather indefinitely delaying the opening of the Beartooth Highway. It's always best to reserve rooms at Yellowstone National Park as early as you can, but that's not always possible. Here are some tips for staying in the Yellowstone area during an impromptu July or August visit. Concerns about potential bear incidents have prompted Gallatin National Forest officials to allow only hard-sided campers in three Cooke City-area campgrounds, including one where a rampaging bear killed a man last summer.